- Cancellation charges where less than 28 days notice is given are set on the sliding scale below. All cancellation charges are calculated from the day written notification is received by us. These charges are based on how many days before the date of the first night of your stay we receive your cancellation notice. These charges are based on the total cost of your stay. - If checking out earlier than the stay booked, you will not be entitled to any refunds. 2. Payments shall be made in such format as we may agree with you when we confirm the booking. 3. If any payment under these terms and conditions is overdue, then without prejudice to our other rights and remedies we may cancel your booking; and/or we may suspend the supply and/or deliveries of any other services being provided to you by us. We will however inform you by email prior to any such action. Subject to availability, you may change a group booking to a date up to 6 weeks before your arrival date. 1. Changes requested within 4 weeks of the date of the first night of your stay will be treated as cancellations (see Cancellations below). 2. If you wish to change a confirmed reservation (e.g. changes in dates of visit or changes in numbers of people booked) such changes are subject to the availability of a suitable alternative and are subject to any additional costs incurred in making changes to accommodate your request. 3. We will inform you of the amount of any additional cost when you request your changes and shall agree such costs with you. 4. Any additional decreases in Group numbers will be subject to our standard cancellation charges. 5. All changes shall be subject to the availability of a suitable alternative. - Rooms/Dorms are available at 2:00pm on the day of arrival; however you are welcome to drop off any luggage in the morning. - Check out time is before 10:00 AM on the day of departure. - All bookings are subject to availability and we reserve the right to decline any booking at our discretion. - All groups will be asked for a refundable holding deposit of 250 per group up to 50 people and 350 over 50 people per property against damages or loss. Deposit is payable by cash, credit card or cheque upon arrival. - There is one designated group leader who must take full responsibility for the group at all times whilst staying at Journeys Hostels. - For youth or student groups (under 20 years old) a group leader must be present and supervising the students in the Hostel at all times. Nearby Goldsmiths University was home to the 1990's Britpop movement and Young British Artists movement, with famous alumni including artist Damien Hirst and Blur/Gorillaz frontman Damon Albarn. Situated in West Greenwich, Venture Hostels has excellent transport links to central London and all the major attractions, like the Royal Greenwich observatory, Cutty Sark, the Emirates Air Line and the O2 Arena, a stage for the most exciting and famous concerts in London. Our hostel is close to three main stations, Deptford Bridge on the DLR, Deptford station on the railway and New Cross station on the overground. The hostel is also one stop on the train away from the city centre of London, London Bridge, 20 minutes from the famous Olympic Stadium, Stratford, and within a walking distance from Greenwich Mean Time and Meridian Line. 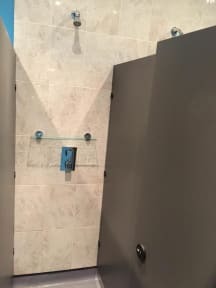 Our bright, fun and recently refurbished hostel is the place to find visitors from all over the world, the hostel is housed above The Royal Standard bar and restaurant. The restaurant offers a selected gourmet menu on European cuisine including seafood, steaks, burgers and roasts. along with choice craft beers and a vibrant atmosphere. The bar and restaurant boasts a large reception area and bar, incorporating a mixture of lounge and dining style. 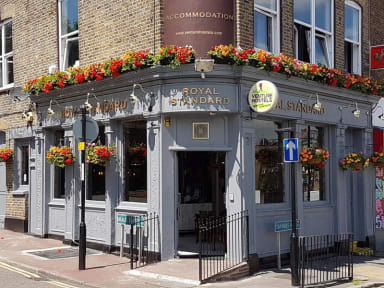 All the hostels customers have a 15% discount on the Royal Standard Bar & Restaurant Menu. All dormitories include free Wi-Fi, in-room lockers and fresh linen. The hostel also benefits from a 24-hours reception operated by our friendly and attentive staff.